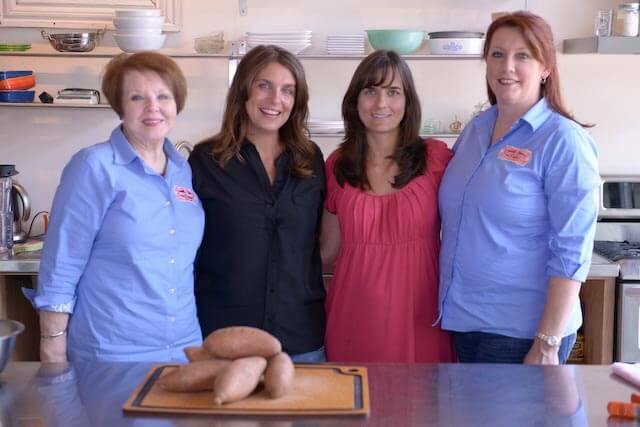 A CHEF’S LIFE is very proud to call North Carolina Sweet Potato Commission sponsors of our Emmy and Peabody Award-winning docuseries which airs to an audience of nearly 3 million viewers per episode on PBS. With a roster of over 400 sweet potato growers, packers, processors, and business associates who support them, the commission represents the best of what North Carolina has to offer: good food from great growers. As the nation’s top producer of sweet potatoes, North Carolinians can be quite creative about ways the delicious veggie is utilized throughout the year. 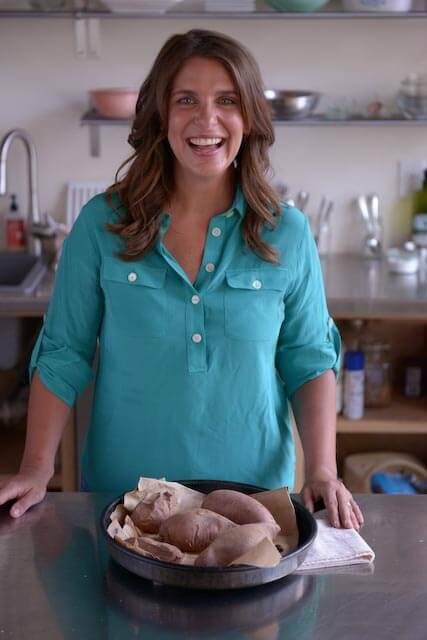 Chef Vivian is a self-professed lover of its starchy sweetness and, with its ability to please even the most finicky of eaters, considers the sweet potato one of the most reliable foods on her list of go-to ingredients. We recently sat down with Chef Vivian on behalf of our friends at North Carolina Sweet Potato Commission to chat about the resilient, year-round goodness of the sweet potato. She had plenty to say about how the sweet potato sustains her restaurant during the months when greens are hard to find and how the super-root veggie makes a great snack for her young twins no matter the season. Q: As a native North Carolinian, what are you most excited about in partnering with the NC Sweet Potato Commission this year? Vivian: As a native North Carolinian, sweet potatoes are an underappreciated vegetable. I grew up with them on the table nearly everyday, so I want more people all over the country to know about them– how to cook them, how to eat them, how tasty they are– and, through our partnership, I hope to turn more people on to the sweet potato in general. Q: Aside from their deliciousness, why are you a sweet potato lover? Or what are some reasons you like to use sweet potatoes in your cooking? My grandmother always told me the more colorful a vegetable, the more health benefits it has, so I’ve always liked sweet potatoes because they are super vibrant in color. When I eat them, I always feel like I’m doing something good for myself. Throughout the year, the quality of other products ebbs and flows, but I can count on sweet potatoes to be consistent and good all year round. Q: We are very impressed with Chef & The Farmer’s dedication to sourcing seasonally & locally – over 70% ingredients are from within 60 miles! With reliable year-round availability, are sweet potatoes a staple menu item at your restaurant? Yes, of course. We serve sweet potatoes all year long but we really focus on them starting in November through the end of April because they’re one of the things we call on when there’s not a lot of green stuff coming out of eastern NC, not a lot of other fruits or veggies to call on. They are so easily stored and I actually think they improve with storage. Q: Growing up on a farm, do you find you have a greater appreciation for the farmers, land and produce? Yes. We grew a lot of our own food. We ate breakfast, lunch, and dinner at home. We didn’t eat out at restaurants, really, so we had a really strong connection to our food. So, yes! Q: What are the similarities and/or differences in your role serving quality, delicious food to your kids as a mother vs. your customers as a chef? Are sweet potatoes an ingredient you can rely on in both situations? Yes. I think I’ve already spoken to the restaurant portion, but I make sweet potatoes every week for my kids. Before things got hectic, I’d cook on Sundays for the week and I’d roast five sweet potatoes. My kids, Theo and Flo, like sweet potatoes. They’re healthy and if you roast sweet potatoes in their jacket, there’s lot you can do all week. I continue to roast sweet potatoes quite often for my kids and my husband, Ben. Can you please tell me how Vivian roasts her sweet potatoes? I see she does it on brown paper, like a paper bag from the grocery store. What temp? How long? Thank you so much!